A Wolf microwave is a true cooking instrument—one that is designed to do far more than reheat leftovers. In fact, today’s innovative designs can take on the preparation of entire meals. 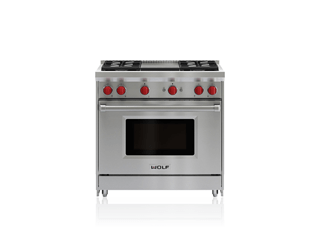 Equip your kitchen with one of Wolf’s extensive selection of microwaves (including convection models), with drawer, drop-down door, and side-swing models available. Coordinates nicely when installed with E and M series ovens. Available in multiple styles and both 24" and 30" widths. Installs elegantly where most microwaves cannot. Available in pro and transitional styles and both 24" and 30" widths. 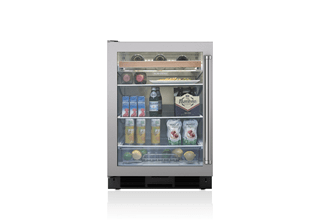 Pairs well with other Wolf appliances with a side-swing door. 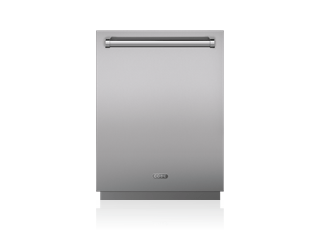 Available in both standard and convection microwave ovens at a 24" width. Moist chocolate cake. Crisp, whole chicken. From baking to roasting, convection microwaves offer surprisingly delicious results that go far beyond popping corn. In convection microwave cooking, fans circulate hot air for more even cooking and crisper exteriors.